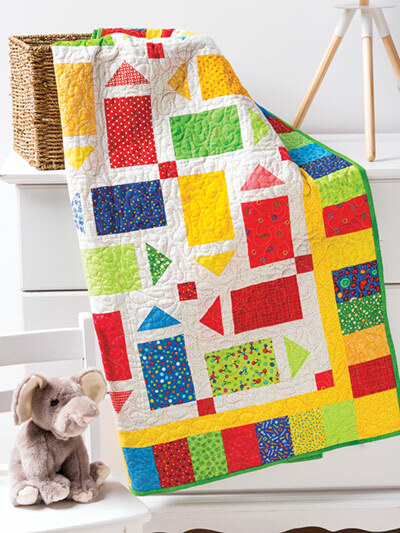 A quick and easy quilt for your little one! 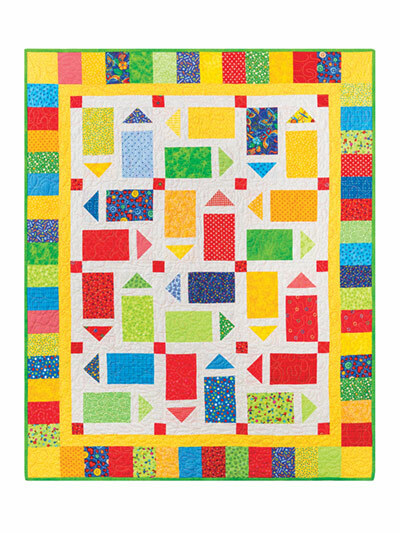 Delight a new mother or gift the birthday boy or girl with this bright and cheery kid's quilt! 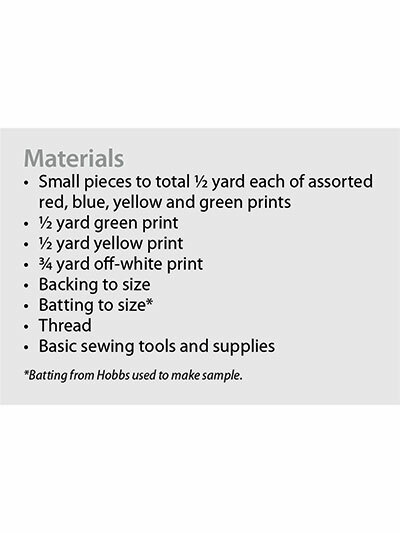 Choose colorful fabrics from your stash to make this quick and easy scrap quilt...so quick and easy it will soon become your favorite "go to" quilt pattern! Finished size is 44" x 52 1/2".